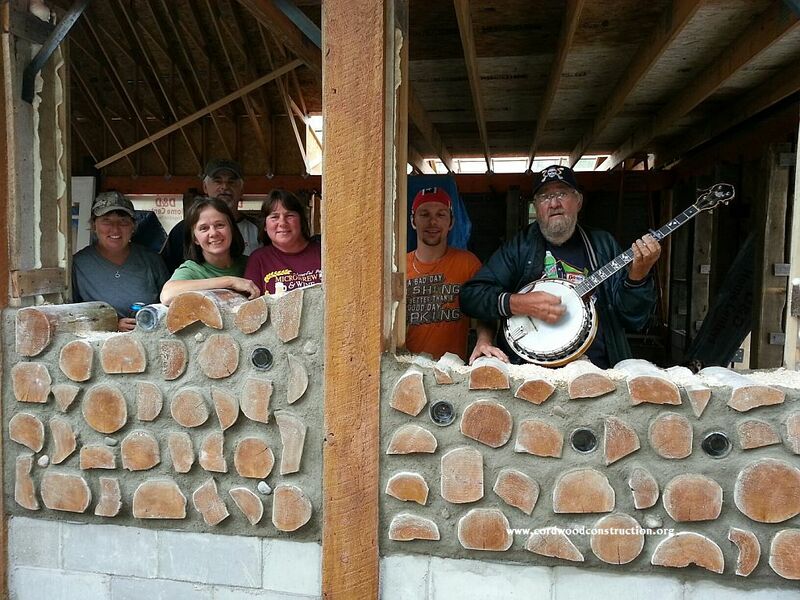 Cordwood Construction: Summer Picture Bonanza! 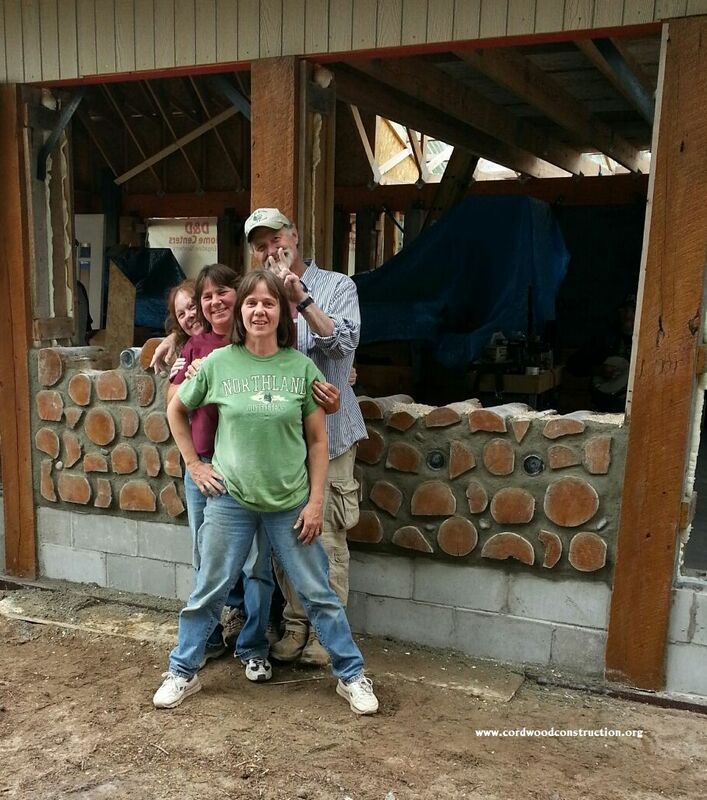 The summer of 2014 has been filled with new and unique cordwood structures and adventures. The following photos come from many different parts of the globe. All are new to me, for which I am forever grateful. 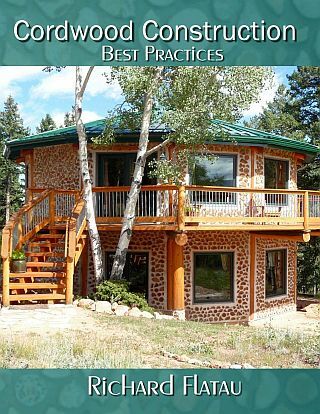 Above is Isaac Haumesser’s practice cordwood building in Missouri. 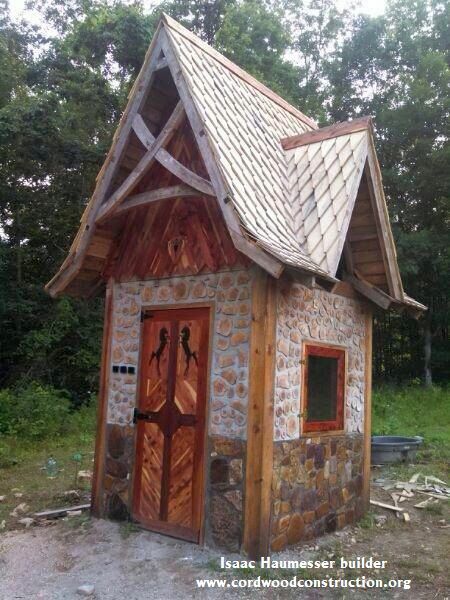 Isaac built this as a practice run for his cordwood home. 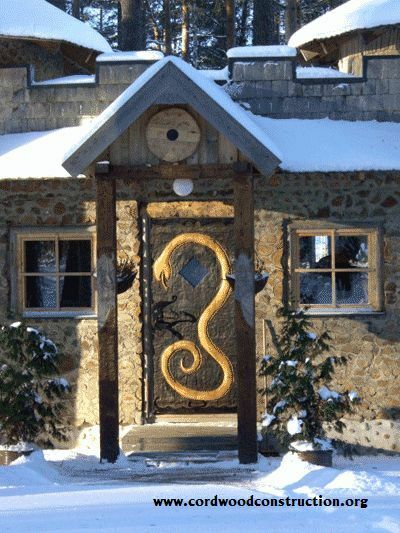 The stone work is amazing, the roof is called Dragon Scale, the cordwood random pattern is outstanding and door is in a league of its own. Nice work Isaac. 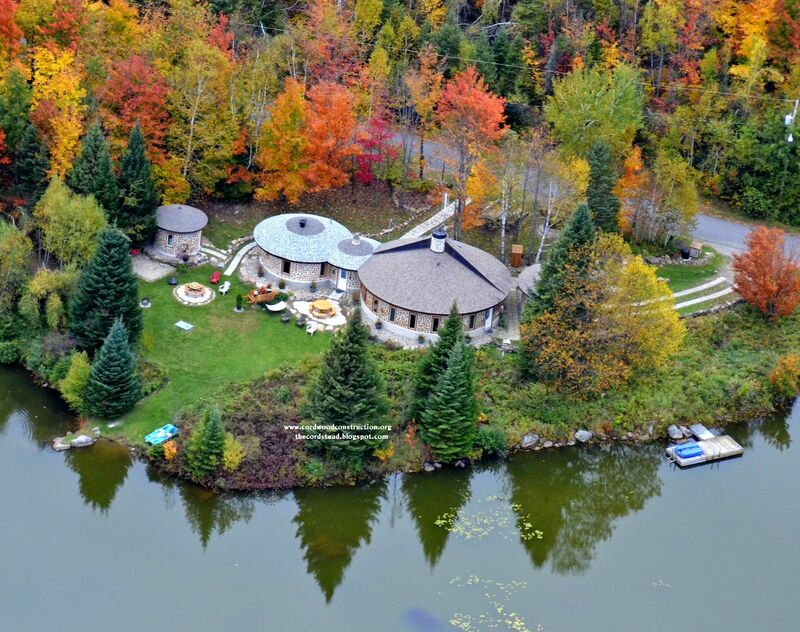 This is the lovely cordwood “build” of Tammy and Sharon in Germfask, Michigan (think Upper Peninsula). 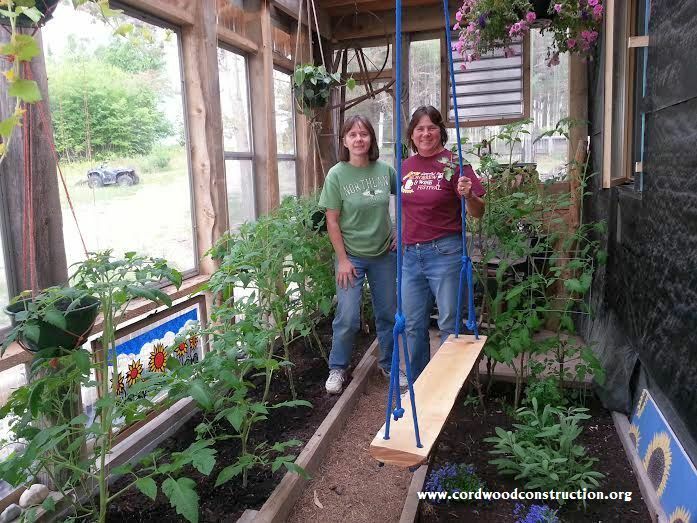 Sharon has developed a gorgeous indoor garden! 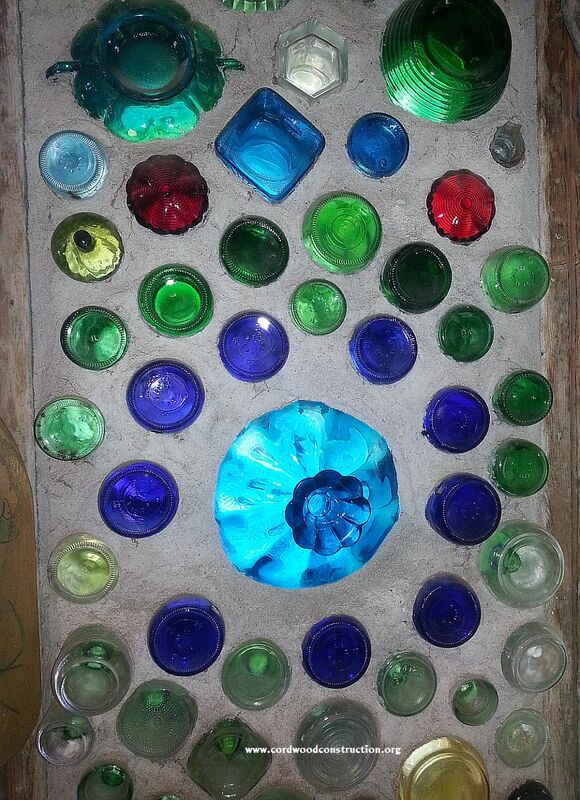 A gorgeous bottle end wall at Honey and Mike’s in Holmen, Wisconsin. 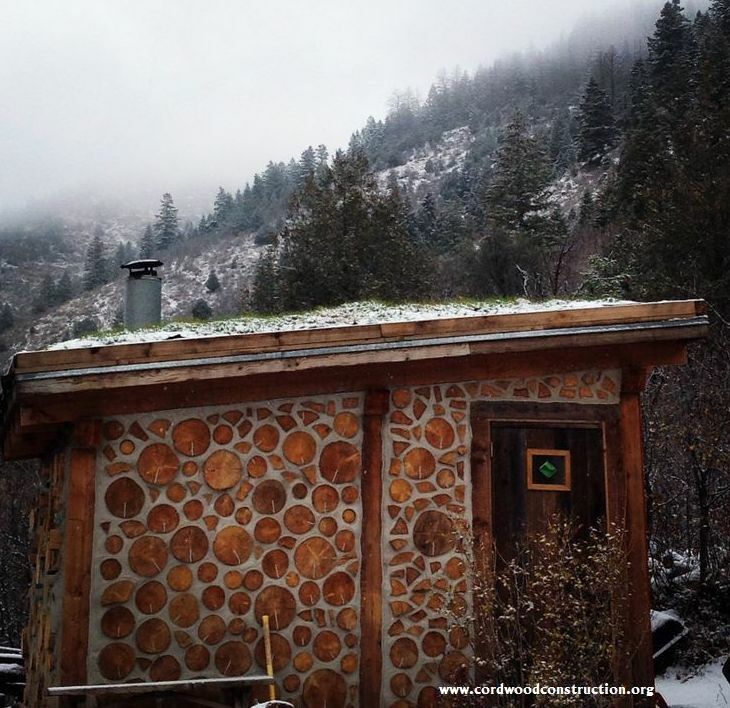 A cordwood cabin deep in the mountains. A cordwood sauna in Finland with Viking motifs. 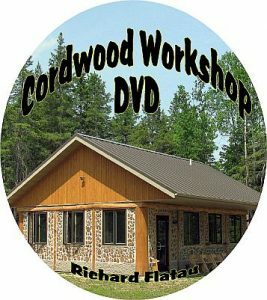 This blogpost full of “cordwood eye candy” is brought to you by Richard and Becky Flatau at Cordwood Construction Resources.